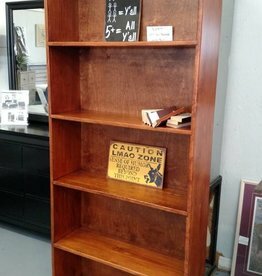 Amish-built solid pine wood shelf. One adjustable middle shelf with all accompanying adjustable shelves. Please specify Minwax stain color choice at checkout. Measures 36" wide x 72" tall x 12" deep.